More than 2.2 million Thais turned out for early votingalmost 90 percent of those registeredfor Thailand’s hotly anticipated national election, as the junta’s main opposition predicted a cliffhanger to the first poll in eight years. But enthusiasm is soaring from a public starved of democratic processes since a 2014 coup ousted then-premier Yingluck Shinawatrareflecting in the country’s high number of early voters on Sunday. “There was an 86.98 percent turnout” among the 2.6 million early voters registered, Ittiporn Boonpracong, chair of the Election Commission, said Monday. Many voting centers had “more than 90 percent turnout”, he added. Pheu Thaithe country’s most popular party which brought Yingluck to power in 2011remains confident in their chances, said Sudarat Keyuraphan, the party’s prime ministerial candidate, during a campaign stop in Thailand’s northeastern Chaiyaphum province on Monday. “Yesterday’s early voting saw people stand under the hot sun for three hours…. they want to say it is times up for the dictatorship,” she told AFP. “It is not easy for us to win…. but it is not easy for them (Phalang Pracharat) either,” Sudarat said. 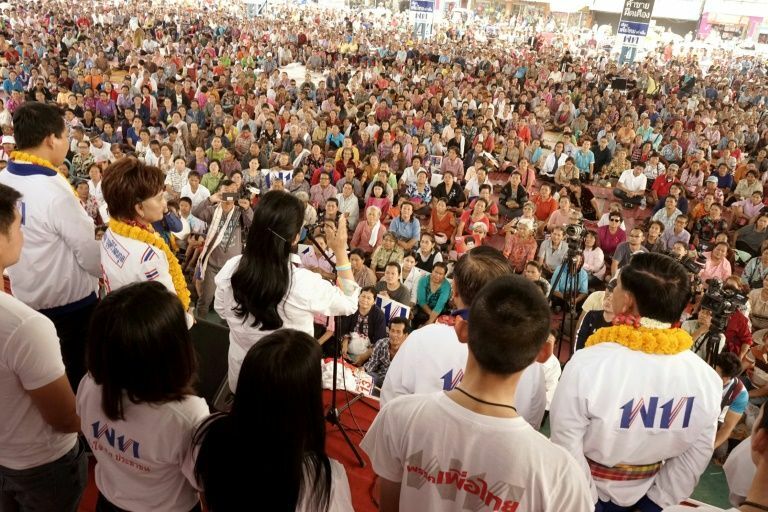 Thousands of supporters cheered wildly as she and other party executives promised to raise rural incomesa sign of Pheu Thai’s enduring dominance in the country’s northeast. 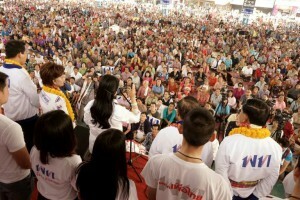 “I will definitely vote this time… for Pheu Thai. They have good agricultural policies,” she said.